Many people suffer the embarrassment of having dark skin patches around their neck. This is a fairly common skin pigmentation disorder known as acanthosis nigricans. It is not an infection and is not contagious. Aging and sun exposure are the main causes of dark discoloration on the neck. 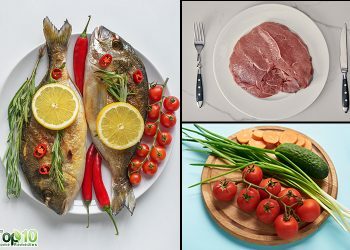 Other causes are diabetes, genetics, polycystic ovary syndrome, poor hygiene, and sudden weight loss or weight gain. There are many natural remedies to reduce the discoloration of skin around the neck. 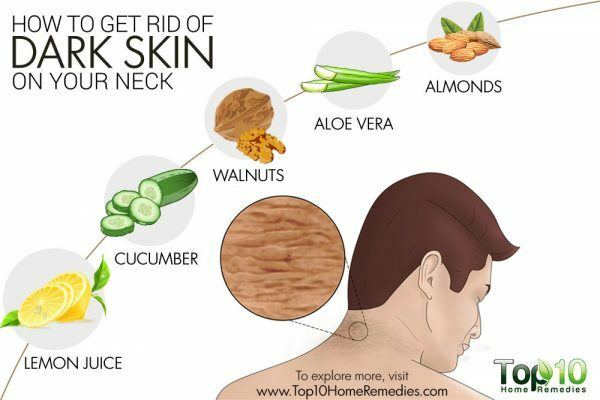 Here are the top 10 ways to get rid of dark skin on your neck. Almonds contain vitamins that are essential for skin health. Almonds also have properties that can nourish the skin and remove discoloration. 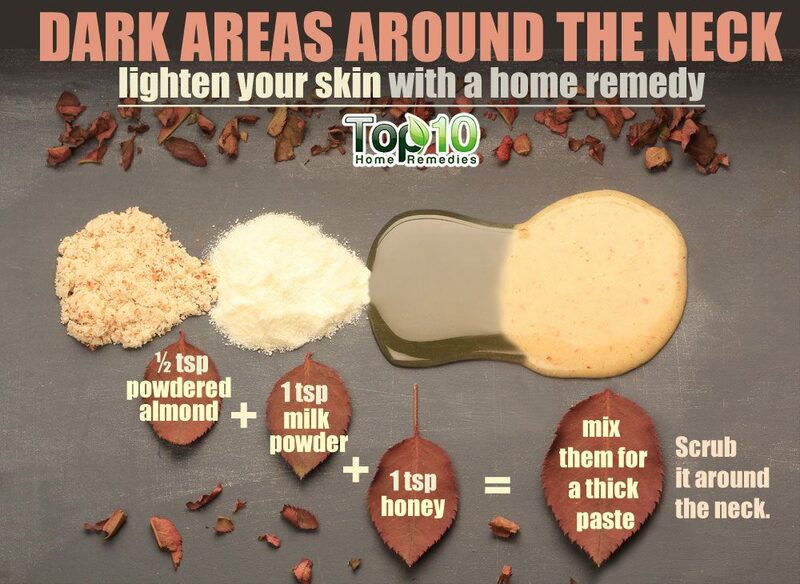 You can use almonds in different ways to treat dark skin on your neck. For a simple remedy, make a thick paste of half a teaspoon of powdered almonds, and one teaspoon each of milk powder and honey. Apply the paste on the sides and back of the neck, leave it on for half an hour and then wash it off with water. Do this two to four times a week. Slightly heat almond oil and massage your neck with it. Do this few times a month to improve blood circulation in the neck area. The oil also acts as a moisturizer and will help make your skin glow. Soak four or five almonds in water overnight. In the morning, grind the almonds into a paste. Apply the paste on the neck area and gently scrub for a few minutes. Wash it off with cold water. Do this once or twice a week. Aloe vera is a kind of natural skin lightener and also moisturizes the skin. 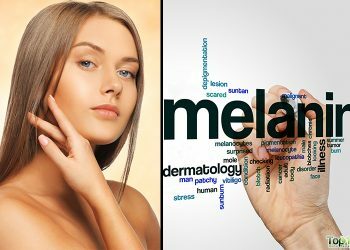 It can lighten skin color to a great extent and reduce various skin spots. Aloe vera is also rich in antioxidants and various other compounds that help repair and produce new skin cells. Extract pure aloe vera gel from the leaf. Apply it directly on the neck and gently massage it. Leave it on for about 20 minutes. Repeat this once daily for fast results. Walnuts contain vitamins and minerals that nourish the skin. They also help keep the skin moisturized, which is essential for healthy skin. To treat dark skin on the neck, a scrub made of walnuts and yogurt is very effective. Mix crushed walnuts in yogurt to make a thick paste. Apply the paste on the dark portion of your neck. Gently scrub for a few minutes and then allow it to dry. Wash it off using cold water or rose water. If done on regular basis, about twice a week, this remedy will rejuvenate your neck skin and reduce any dark appearance. Cucumber can also be used to improve the appearance of your neck area. Cucumber has soothing properties that help repair skin cells, remove dead skin cells and add glow to the skin. Apply grated cucumber or cucumber juice all over your neck and gently scrub for about 10 minutes. Wash it off with rose water or cold water. 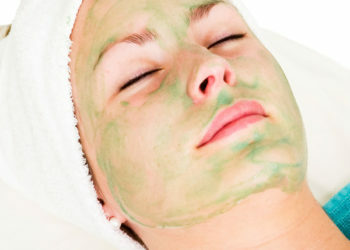 Another option is to mix equal amounts of cucumber juice and lemon juice and apply it on your neck using cotton balls. Leave it on for 10 minutes and then wash it off with cold water. Follow either of these remedies daily for a few months or until you are satisfied with the results. Lemon has citric acid, which is a natural bleaching agent. Also, the vitamin C present in lemon helps remove dead cells and lighten skin tone. Hence, lemon can be used to effectively lighten the dark complexion of your neck area. Apply lemon juice to the dark skin using a cotton ball. If you have sensitive skin, dilute the lemon juice with water. Leave it on for 20 minutes and then wash it off with cold water. Make sure not to expose your neck to direct sunlight after applying lemon juice. Another option is to mix equal parts of lemon juice and rose water. Apply this mixture around the neck area before going to bed. Do this daily for about a month to see visible results. Oats work as a great skin scrubber and help exfoliate the skin. This is quite effective in reducing the dark complexion that appears around the neck area. Take two teaspoons of coarsely ground oats and add a little tomato puree to it to get a thick paste. Apply the mixture on your neck and leave it on for about 20 minutes. Then scrub your neck gently. Finally, wash your neck with cold water and apply some moisturizer. Do this once or twice a week. Mix one tablespoon of powdered oats with enough milk and honey to make a paste. Apply it on the dark area of the neck. Allow it to sit for 20 to 30 minutes and then wash it off with lukewarm water. Do this twice a week. Baking soda works as a natural skin exfoliant and cleanses the skin and slowly removes dark, discolored patches. The combination of baking soda and water has proven quite effective in removing hyper-pigmentation that forms around the neck. 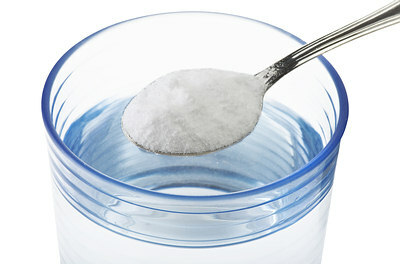 Mix three parts of baking soda and one part of water to form a thick paste. Apply the paste on your neck and let it dry. Wash it off after a few minutes. Do this twice a week to enhance the complexion of your neck in just a few weeks. The high amount of vitamin C in oranges is also very helpful in lightening the skin tone. 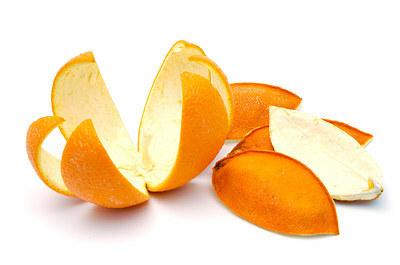 You can use orange peel to cleanse as well as bleach the skin. Put some orange peel in the sun and let it dry out. Then grind it into a powder. Add equal amount of whole milk to the powdered orange peel to make a thick paste. Apply the paste around the neck area and allow it to dry. Wash it off with cold water. Alternatively, you can grate the orange peel and add orange juice to it. Apply this mixture on your neck and leave it on for 10 minutes before washing it off with cold water. Do this daily. 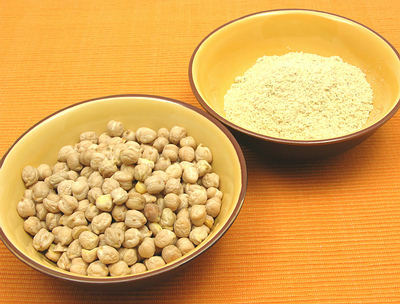 Chickpea flour works as an excellent scrubber to get rid of dark skin patches on your neck. Chickpea flour should always be used with turmeric, which has antiseptic properties and is used for treating various skin problems. Take two teaspoons of chickpea flour and add a pinch of turmeric to it. Add some water and mix the ingredients well to make a thick paste. Apply the paste on your dark spots and allow it to dry for about 20 minutes. Then scrub it away with cold water. Do this every other day. 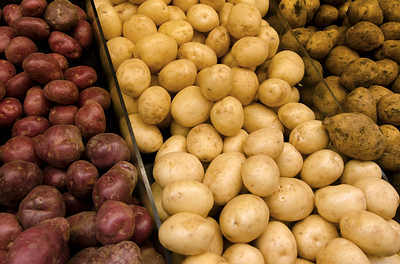 The enzyme catecholase in potatoes has bleaching abilities that help lighten dark skin on the neck. Apply grated potatoes or potato juice all around your neck. Leave it on for 15 minutes and then wash your neck with cold water. Alternatively, you can mix lemon juice and potato juice together and apply it on the affected skin area. Leave it on for about 10 to 15 minutes and then wash the area with cold water. Do this daily to get positive results. This remedy can also be used for erasing dark spots and acne scars. Try out some of these remedies and find which one suits you. 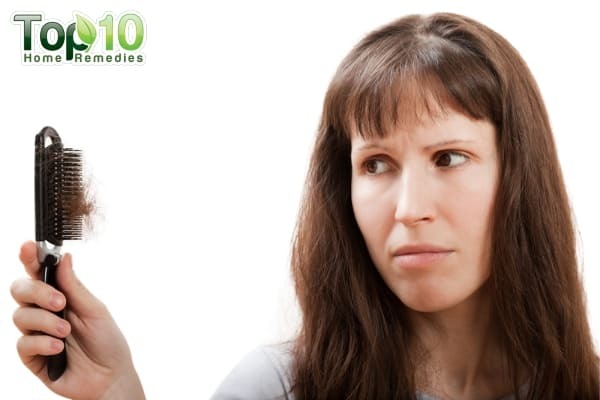 Bear in mind that it requires some time as well as patience to get rid of dark patches on your neck. I have learn so many things from this and I will try at home and will see the result. I need this kind of homemade skin treatment by e-mail. love these simple natural home remedies! Radhika…i tried a lot of stuff for dark neck and non seem 2 work…can u please help me out and tell me which method worked best for you? Please? Am really interested, i think am gonna try, and i hope it works good. Am really interested, and i think am gonna try, i hope it works good. I tried the first one almond paste with honey..it really works.thank you! Can we apply this paste in face as well(I have oily skin). It is good and helpful to everyone. I love the methods so easy and its all natural ..ill try it out. I just love your remedies, I am surely going to try it . I hope it will help me..I hv learn from dis alot, Thanks n gonna watch for da result. 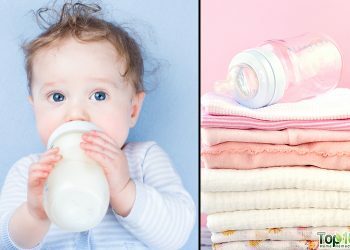 Wow….i like your home remedies and most importantly I would like to tell you something about home remedies..dear friends we should have patience on using home remedies…..
Wow! ……its very amazing and i think if we try it gonna works …… Thank u for ur natural home remedies i have learnt a lot …… Once again thanku so much……………. thank u alot…i loved to try this…. Nice! 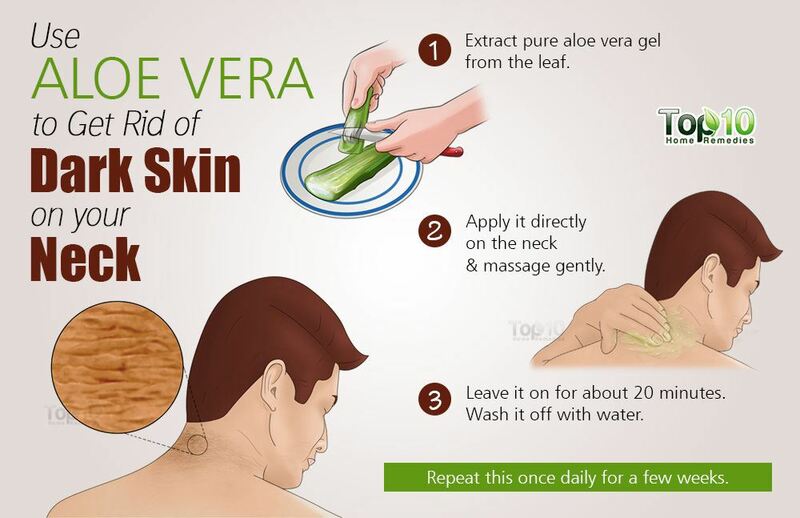 I will try the Aloe Vera thing :3 thanks for this useful tips. guys it’s really works don’t get dilemma do this n am too doing daily.. Very helpful tips… It really worked out, thanks a lot! you should get your blood sugar checked. it could be onset type 2 diabetes. This is all bunk. If you have a dark ring around your neck or darkened skin folds elsewhere it means you are prediabetic or have diabetes. The only cure is to get blood sugar under control, ie lose weight & eat healthier! If you’re going to put this much effort into trying to lighten skin ineffectively you might as well go exercise, as none of these “remedies” will change acanthosis nigricans. Comment:I am very glad being you follower because homermedy you post is really crucial so keep it up!!!! Try Apple Cider Vinegar toner and leave it overnight, it will balance the pH of your skin and it will really works wonder on your skin. Two thumbs up to you! All the simple home remedies are superb. Had tried Apple Cider Vinegar as well and it really works wonder on stubborn dark patches specially around the neck or anywhere even in between the thighs and armpit.